Today’s workplaces are full of people running in different directions. Getting busy with much activity, ending their day with little to show for it all. Lack of focus drains leader-managers’ energy, wastes team resources, and dilutes all efforts to excel and be effective. Becoming Warren Buffett, a documentary that chronicled the fascinating journey of the Oracle of Omaha, depicts a telling scene of two successful giants of the modern era. Buffett and Bill Gates, sitting at a table, are asked to write down the one thing they felt contributed most to their success. Each privately jotted down their secret. For both, it was Focus. For leader-managers and their teams, effectiveness comes from devoting their energy and thinking to what matters most. In the real world, there are many things that can easily distract us from getting the “right things” done. Endless meetings, hundreds of emails, playing catch-up, administrative pet peeves, managing people, conflict, all these can easily eat up our days, drain our energy, leaving us stressed, exhausted, and with not much else. Whenever I asked a former colleague how things were going at her company, she would jokingly answer, “Just running around like a headless chicken, my friend”. That told me two things. She was obviously super busy; and she did things without thinking. She didn’t consider walking, which direction she needed to go in, or what to do first. She just ran. Focus starts with knowing where you need to go and how to get there. It starts with the job that you perform day in and day out. Are the results you need to deliver clear? Do you have Objectives that are Specific, Measurable, Achievable, Relevant, and Time-Bound i.e. SMART? Have you identified your winning strategies to be successful? Is everyone else in your team rowing in the same direction? When the answer is YES, then your roadmap for success becomes less tough to navigate. Even when the destination is clear, its path can be filled with twists and turns. And in the fog of everyday work chaos, it’s easy to drift away from that destination. Workplaces are never perfect. Teams face distractions all the time. 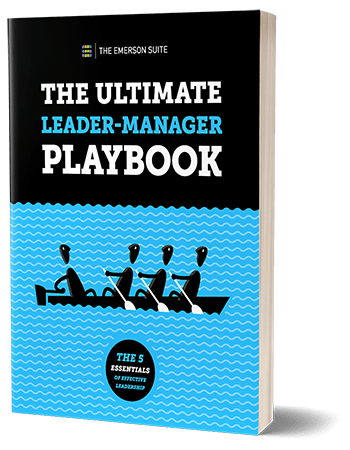 As a leader-manager, how will you know they’re focused on the right things when you’re not there? Engaging them in defining weekly priorities, and managing work and time towards those priorities is the answer. We find the magic number to be no more than five manageable priorities for each week. How does it help us move the needle forward to achieve results? We know the biggest obstacle to change is creating good sustainable habits. Focus is a habit that can be nurtured. The people I know and talk to are often open to change. They are ready and willing to try something new. But they all come back with the question of how to turn change into business as usual. What you need is a system to ensure lasting adoption. You can’t instil good management habits with training alone. You need a system that is backed up by a proven leadership process. You don’t need just another tool to throw at your team. It needs to be agile so it can easily integrate into your current management practices. It needs to offer tools that let your team get clear about what it takes for them to succeed and prioritize their efforts towards that, and that alone. With everyday use, the system quickly becomes part of everyone’s workday routine. This is what breeds the right habits of focus. It starts to develop in early individual adopters. Then it grows among teams until it transforms how everyone manages work, putting effectiveness in focus throughout your organization.